Along Route 13 nearly every day* there is a truck and trailer parked on the side of the road loaded down with a few huge crates and bushels of apples perched along the running boards. We’ve passed this guy plenty of times, but last week on an impulse we pulled off to take a look. As it turns out, the apples aren’t exactly local, per se. But, he’s a real local character. This guy actually drives out 300 miles to to an apple farm on the West Virginia border (*still “Virginia grown”) and hauls back his load every couple of weeks. The best part is, he sells them really cheap! 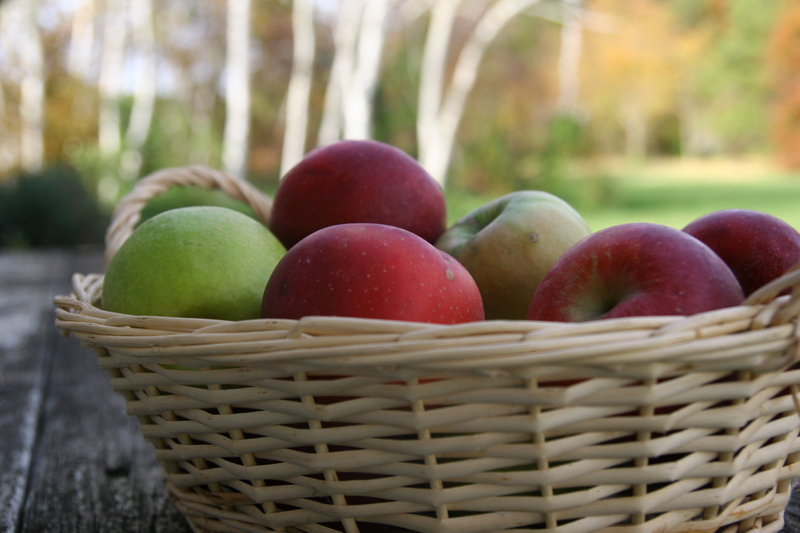 We came back with more than 12 lbs of apples – granny smith, rome and fuji. Well, I’ve already baked a pie (yes, it was delicious) and made six jars of chutney. 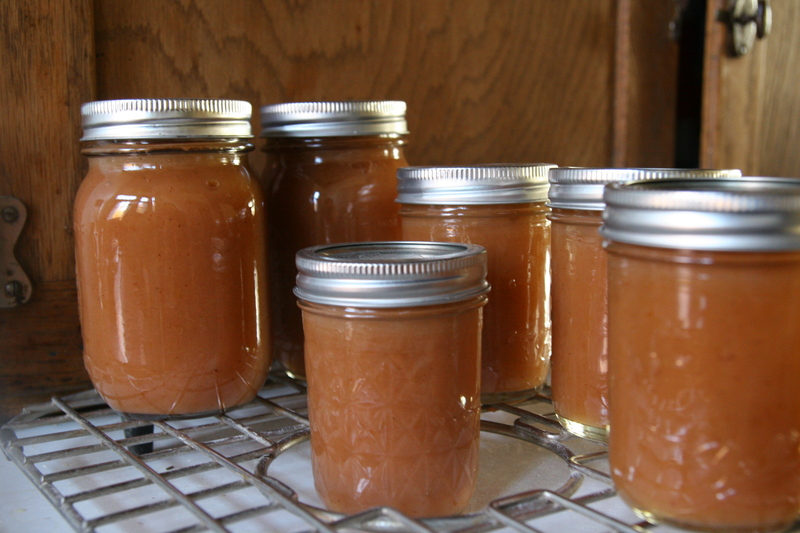 But this weekend, I finally had a few moments free to tackle apple butter! I tweaked a recipe I had, cutting back on the sugar and adding some ginger and star anise because I happened to have them around. Thank you, Crown Heights, for introducing me to exotic spices! Spiced Apple Butter adapted from Put ’em Up! 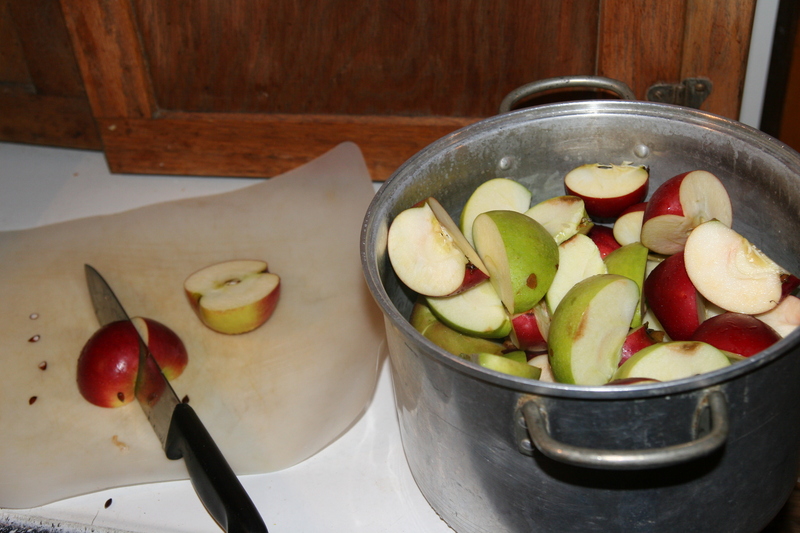 Quarter apples (leave peel and seeds), and add to a big pot with the cider/water. Cook until the apples are soft – this took me about 30 minutes on high. 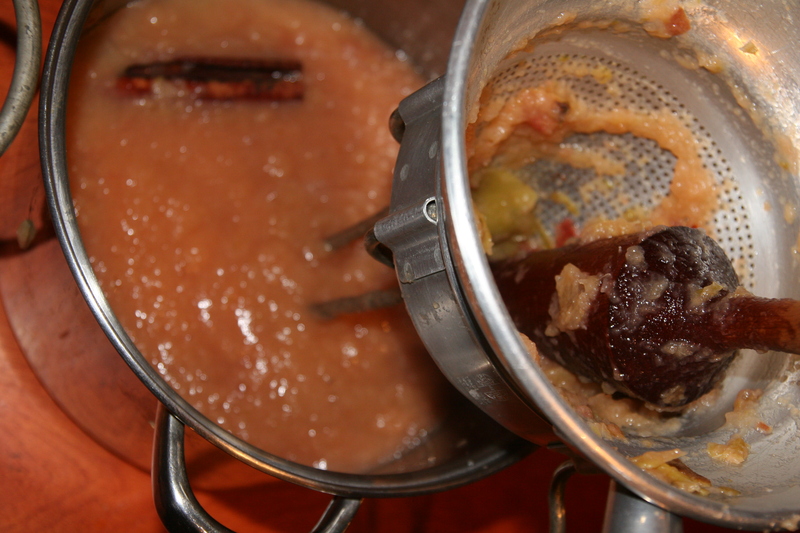 Let the apples cool slightly, then pass through a food mill to remove the seeds and peels. Add back to the big pot, along with the sugar & spices. 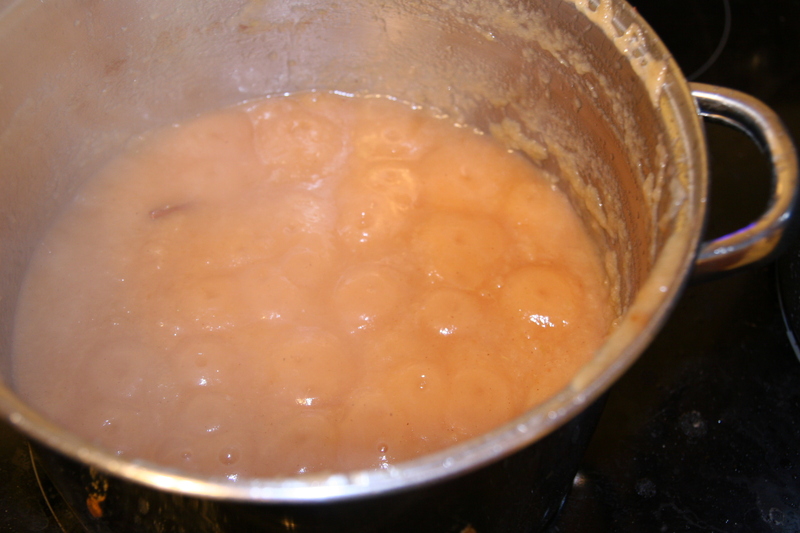 Cook it down on med-low until thickened (the color turns darker as it cooks) – BUT watch closely because it burns right quick. I may have sat down to catch up on an email and left it for 10 mins…and had to scrape some dark patches off the bottom with my wooden spoon. Taste it often, for sweetness and spiced-ness because at this point you can still add to it. *So, by “nearly every day” I really should say “nearly every day before I made apple butter” because I haven’t seen him since (sad face). Not very journalistic of me to not even get the guy’s name…. sorry folks. I seriously hope to catch him again because we need apples for Thanksgiving!